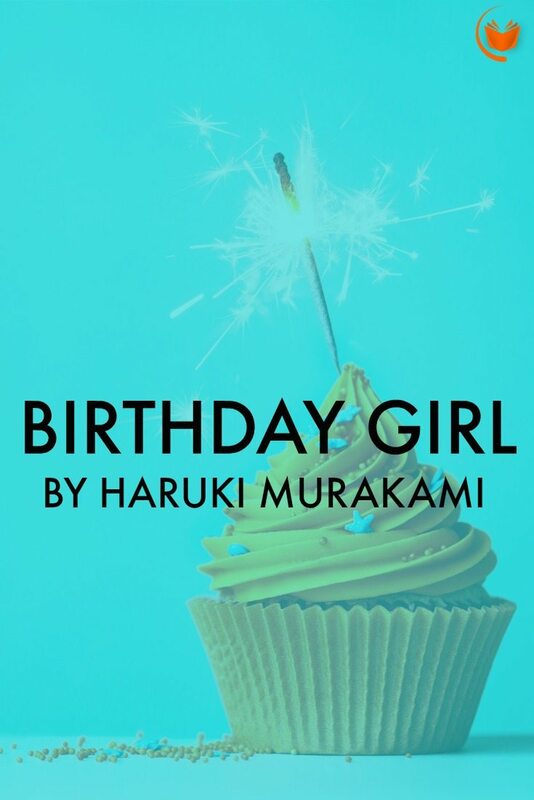 Before diving into Hard-Boiled Wonderland and the End of the World, I have students read this fun short story, “Birthday Girl,” by Haruki Murakami in my freshmen composition course. It’s a little weird, but not so weird that students aren’t willing to suspend their disbelief. It works as a great introduction into Murakami’s bizarre worlds and leaves the reader with lingering questions. Not only do they have those lingering questions after reading the final paragraph, but it leaves them wanting more Murakami. Most of my students are around that vulnerable age of 20, like the girl in the story, so they can relate to it right away, but “Birthday Girl” is just as moving with my older students as well. “Birthday Girl” is part of the popular short story collection, Blind Willow, Sleeping Woman but Haruki Murakami wrote it for the anthology, Birthday Stories, which includes some delightful stories by other contemporary authors, including the late Raymond Carver, his literary comrade, and David Foster Wallace, author of the big fatty you might be using as a doorstop right now, Infinite Jest. “Birthday Girl” was also published in Harper’s back in July of 2003. “Birthday Girl” is a quick and enjoyable read that is sure to leave you a little nostalgic for your 20th birthday. 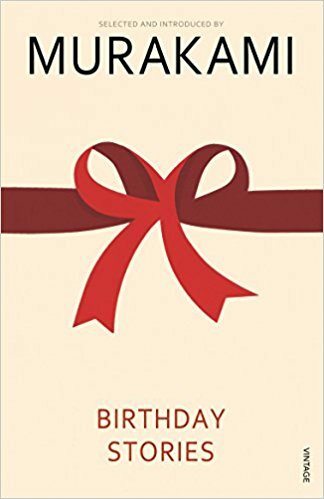 Leave it to Murakami to take something as ordinary and mundane as a birthday (it happens to everyone – everywhere – every single year) and tease out the mystery, nostalgia, and intrigue for readers of all ages. Wise words, here. Readers find the same wisdom spoken through the characters in this story. But if his own birthday is nothing special, then why the birthday collection? 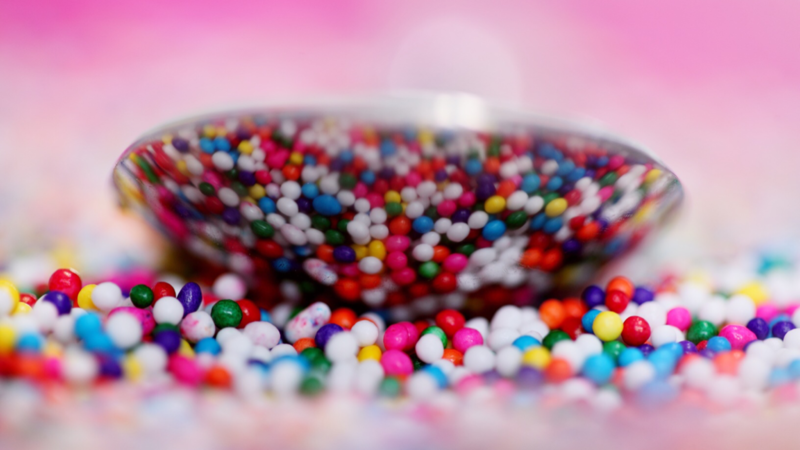 He explains in the introduction, there were two birthday-themed stories that made Murakami want to explore this further. These stories, which are thankfully included in the anthology, are “Timothy’s Birthday” by William Trevor and “The Moor” by Russell Banks. He describes reading these and feeling haunted. It introduces us to the protagonist, a she, a server, and a twenty year old. It builds curiosity in the reader because birthdays – as normal as they are because we all have them – are special. If you’ve read Murakami before, you might anticipate this rock-hard something crawling out of her to show the reader what it’s made of. Instead, Murakami pivots and continues describing the setting, and the reader gets to know the restaurant workers and the day-to-day happenings before the disruption of the equilibrium is introduced: the weather. The weather heightens the intensity of the mood of the story. The incessant rain creates an atmosphere that disrupts the ordinary, mundane circumstances of this particular restaurant. That Friday night wasn’t quite as busy as usual because of it. When the birthday girl is asked to take the owner of the restaurant, an enigmatic figure no one but the manage has met, the reader is on the edge of his seat. Like most Murakami tales, there is a story within a story, which always adds to the magic. Below are some questions you can ponder and read below after reading the short story, “Birthday Girl,” by Haruki Murakami. Please share your thoughts in the comments. If you were in her shoes, what would you have wished for on your 20th birthday? What would you wish for now? Think about how the story is told – who is speaking to whom and when does this change? At the end of the story, the birthday girl suggests that the narrator has already made a wish. What does she mean by this? Think about the role of the weather and how it influences your reading of the story. What else about the setting affects the way you read the story. There are some pretty incredible similes and metaphors in this story that make me pause and appreciate Murakami’s writing (ex: “if you set her afloat on the nighttime sea, she could probably sink any boat that happened to ram her”) – did any stick out to you? Lastly, what might the birthday girl mean when she admits her Audi has two dents on the bumper? What do those two dents symbolize and how does she relate those dents to her wish?